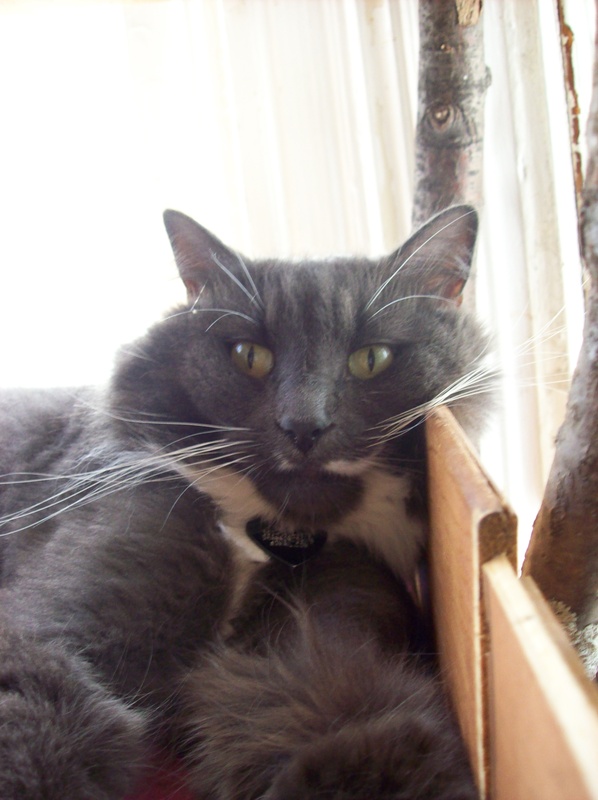 If you identify as a “cat person” you might have been able to sympathize with Elena and I as we stood in Madcat’s pet supply shop and ogled a five foot tall structure of reclaimed, aged tree limbs from a local state park, with curved and carpeted nooks every couple feet up. 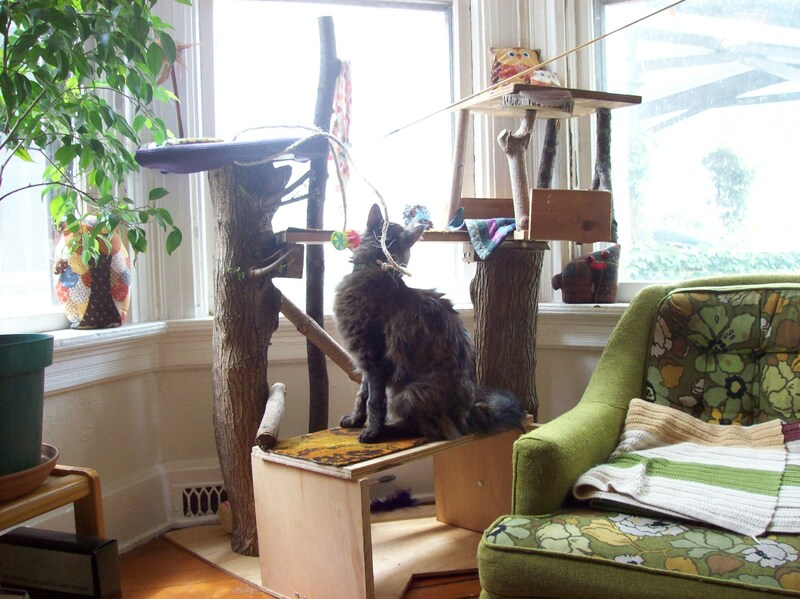 Thinking of the long cold winter we spent cooped up with our three clawed and furry babies, fighting over the best chairs in the sunny windows, the vertical space saver/play and sleep structure looked awfully tempting. The tag said “handmade .” Rad! The tag also said “$239.” That sparked the light in my brain. Handmade? Well, I’ve got hands, so I should be able to make one too, right? 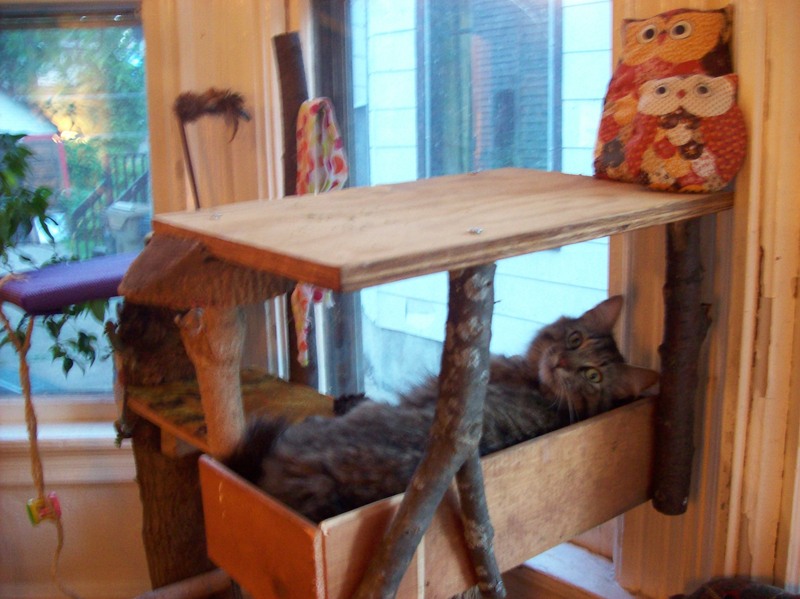 A chance for us cat people to practice our carpentry skills! We began collecting materials. Pruning at the park near our house yielded some ½ foot thick oak branches. We collected some longer, thinner pieces from neighbors’ curbs before the city picked them up. I found a few scraps of carpet and some bits of hardwood boards from someone’s home improvement project. A piece of an old yoga mat made a comeback. 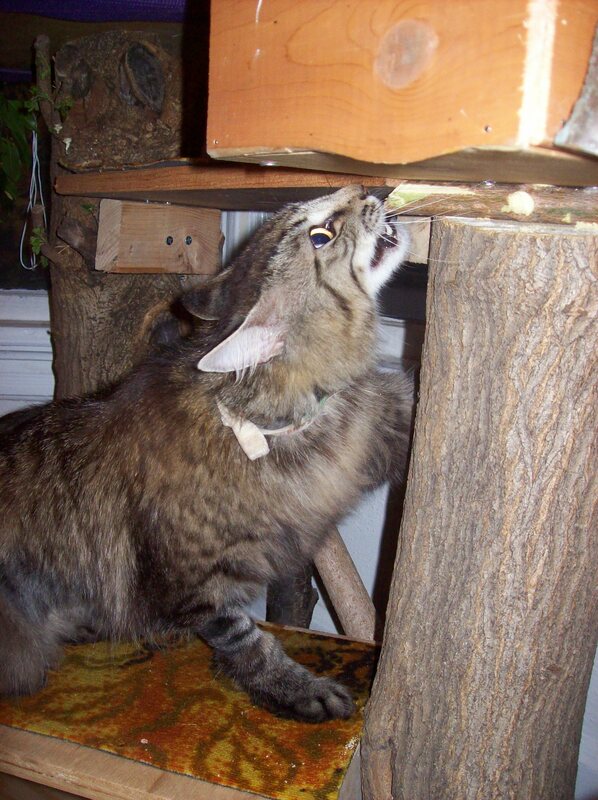 The only things we purchased were long wood screws and some sesal rope for scratching posts, about $10 total. We already had the necessary tools: a hand saw and electric drill. Time to get to work! Several hours later, voila! 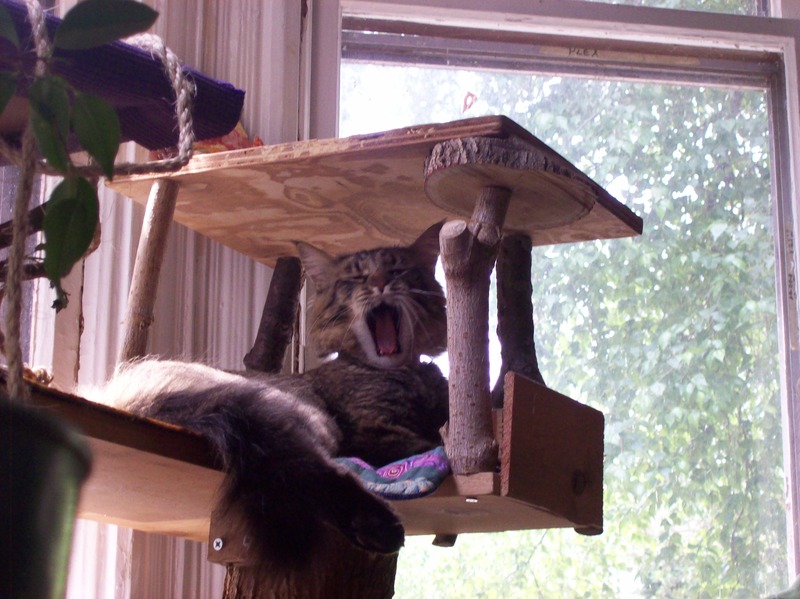 Not just a cat tree, but a cat castle, a cat bungalow. Stylish, serene, handmade, inexpensive, and completely thrilling. We covered it in catnip oil and threw our cats at it. They went nuts. Months later, one can always be found snoozing in the sun on the yoga mat padded high step, or curled up in the bungalow, or chewing on a squeaky mouse at the lower level. It saves space, occupies the cats’ energy, and alleviates battles for our few human chairs. Plus, it’s a little like watching tv.